Ever since the age of the Internet, there has been significant shift in the methods of operation among many major industries in India. While adaptation of technological advances was the first sign of this shift, there is still much to do for an industry to go purely digital. There have been promising signs over the last year or so, with many small businesses in a particular industry starting off by promoting their services on digital platforms. With the move for a more digitally-friendly India showing a lot of positive results, there is new hope that many industries will follow suit. Here is a list of Industries that are already showing great signs of digital development. 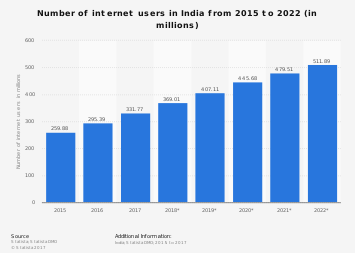 As of July 2017, a reported 40% of the total Indian population have access to the Internet. Couple this fact with another, which states that India’s online shopping consumers are expected to increase to a 100 million, and you can easily guess that e-commerce is one of the biggest beneficiaries of a digital India. Shopping is a day-to-day activity practiced by every Indian, so the concept of shopping online was accepted with open arms when it first emerged. Initial online sales involved either the use of cards or the more reliable cash-on-delivery system. While those systems remain, the emergence of digital payment technologies and mobile-commerce enhanced the ease and speed of shopping online. The future of e-commerce is ever so bright, with newer ways to shop and more reliable ways to pay already slated to release. One such feature is the enabling of social media apps to double as payment gateways. The telecom industry is one of India’s most competitive industries with numerous communication providers looking to pull customers with their user-friendly schemes. The advent of smartphone technology changed the game entirely for the telecom industry, forcing communication providers to rethink their strategies that go hand-in-hand with the many features a smartphone has. Industry leaders like Airtel and Reliance are constantly innovating to satisfy one of their consumer’s most demanded daily necessity- better mobile networking. Airtel and Reliance Jio have also entered the mobile payment trend. Going forward, the telecom industry is tinkering with new ways to improve customer experience, mainly due to the exorbitant amount of customer data that flows in and out of the daily use of smartphones and mobile networking. The real estate industry has always been a major money churner for the Indian economy. Looking ahead, there are promising signs that the industry is up for a complete transformation through digitisation. The shift to digital platforms began when realtors and developers realised the potential of social networking, and started promoting their services and advertising their projects online. The resulting audience reach was immense, which paved the way for increased competition in the online space among top developers. Further expansion into digital platforms took place after the implementation of new RERA rules and the reformed GST Bill. Both of these reforms encouraged seamless and transparent dealings between buyer and seller, which is achieved best through digital platforms. The launch of the smart-city initiative and affordable housing scheme could effectively bring real estate into the digital space completely. The industry is itself embracing the concept of digital technologies to aid in construction of projects. Innovations like 3D-priniting and Building Information Modelling are already showing signs of improved construction quality. The finance industry is where the biggest push for a digital India began. 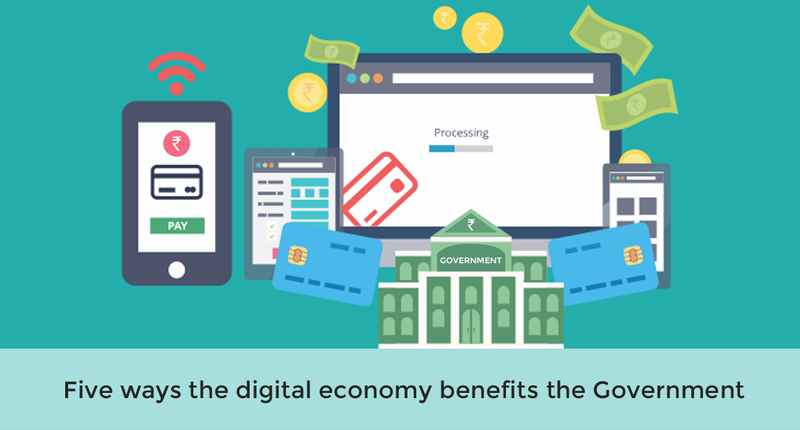 From the initial shock of demonetisation to the launch of various digital payment services, the finance industry can be seen as the driving factor for many other industries to consider digital platforms. It all began with demonetisation; the curbing of black-money led to the realisation that if money went digital, a lot of people will benefit from the ease of use and speed that comes with digital currency. Countries across the world have adopted the technology and are seeing an increased reliance on the same from consumers. The Indian marketplace is still dependent on hard cash, but there have also been promising signs of digital money adaptation. More retail stores are giving consumers the option of paying through the use of their phones. While apps like Aadhaar Pay and BHIM are making waves in rural India. Digital payment solution provider Bijlipay is also supporting the digital money drive by aiding in the establishment of more POS terminals across retail stores. Another exciting development in the finance industry is the introduction of block chain technology in digital payments. This technology could revolutionise the way consumers and retailers alike approach and manage their payments. For as long as anyone can remember, education has always been about picking up a book, learning from it and appearing for a written exam. While this system is a mainstay in primary and high-school education, the industry is looking forward to a digitally friendly method of teaching and learning. There are already many industries who embrace the use of digital platforms like Smart TVs, laptops and tablets, but this is restricted to those institutes that are well-funded. On the smaller scale, the use of social media platforms for educational communication is evident, while there are also free-to install apps like the new Byju App that includes a vast array of subjects ranging from low to high grades of difficulty that focus on varying subjects. There has been talk of introducing tablets that are strictly used for educational purposes, in the hopes of replacing the use of books and notebooks altogether. The healthcare industry has transformed itself magnificently since the age of the Internet. Today, numerous hospitals and clinics are using digital platforms like computers and smartphones for improved patient care. Apart from using digital platforms, the healthcare industry’s main focus was to improve the infrastructure. This was achieved by the implementation of technologically advanced real estate development and increased funding for the use of robotics in surgical procedures. On a personal front, patients are receiving better treatment through the use of digital platforms like smartphone health apps and wearable technology. It’s fair to say that India’s digital drive is on a steep climb. Digital technologies will continue to evolve and with it, more and more industries will start realizing the immense value that comes with it.